Whether you choose to wake up with the morning sun or close the blinds and sleep the day away, the option is yours when lying in the comforts of the luxurious king size bed. 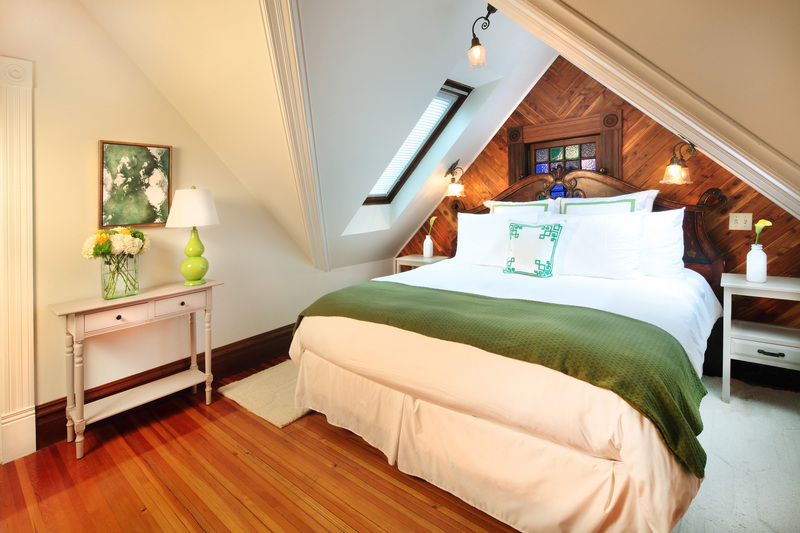 The vaulted ceilings of the upstairs, Merlot Room truly accentuate the charm of the original home, reminding guests that they haven’t opted for just an ordinary hotel. The antique, wooden armoire provides plenty of space for storing the souvenirs of your trip to Wine Country, while the plush reading chair is always inviting of a hot beverage and a good book. The large bathroom, with pedestal sink and tiled shower, serves as a secluded haven for the morning routine.